I am certain you and Michelle have talked a great deal about education in Chicago and in D.C. Parents with children at risk (all parents) have a lot to consider before turning their kids over to a school or system. I know you have close relationships with Arne Duncan and Rahm Emanuel. Both men are deeply involved with education and both have focused on Chicago schools. I know the idealism of most of the people connected with you and your presidency. What I also know is that idealism often results in frustration which results in ideologies born of that frustration. That is how harmful ideologues are created. These ‘leaders’ are angry and unable to admit their failure to bring about change and make complicated problems go away. Michelle Rhee is an example. She just knew she was right and that she had the answers. When her narrow interpretations of what is needed failed, she blamed others. She, like Duncan and Emanuel, had formed ideals and ideologies without correctly diagnosing the fundamental causes of the problems in our schools. They blame teachers, the very people who are fighting for kids and dealing with the results of a failed economic system. Teachers, not these ideologues, deal with the poverty that destroys the hopes and dreams of so many in America. If ideologues are unable to accept changes in their thinking, they turn to more radical ideologies. They refuse to admit their personal misinterpretations. They buy into new ideologies: School Choice, competition, charter schools, NCLB, RTT, and corporate management. Most damaging is the open invitation for profiteers to gain access to our public tax dollars. These failed ‘leaders’ reject fact-base information and force their ideologies through fact-adverse wrongheadedness. Sadly, those shallow interpretations got leg in the Bush-era and are being continued by your administration. Mr. President, the greatest challenge you face as president is to rebuild one, cohesive America through effective public schools nation-wide. Schools that meet the needs of children through solid fact-based, curriculum-based, interdisciplinary education. You must stop destroying schools and hurting kids. You must address the root problems damaging children and this madness that is destroying One Nation. President Obama, I have been active in education for 52 or my 73 years. 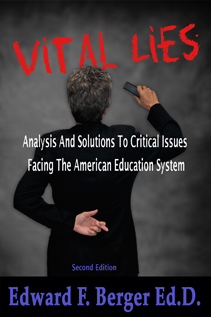 Like Diane Ravitch, I write and communicate with others in the hope of establishing a national dialogue between those who are working with children and know what is needed to evolve our public schools. You must listen to educators, those on the line where the action is, and not the ideologues who have failed us and so badly damaged the American Dream for millions of children.